Please watch it in full version mode. I worked several weeks on this wallpaper since I kept being stuck or disatisfied with the results. Then you sleep over it, make changes, sleep over it again etc etc. I asked bjorn for CnC, he recommended me to remove all the lightning and the text. I agree with him but, I wanted to keep my own touch to the wallpaper so I let it stay. I did however followed his advice in darken the grass. The grass was originally green colored but I made it more darker. I like the lightning around Shana so I hope you do to. I enjoyed working on this project even though it took so long to make. I did my best on it. I also extracted the render myself. Overall I think making this wallpaper sharpned my GFX skills on wallpapers and thats the point I suppose. Anyways I hope you like it and if you do please leave a comment or favorite it. I never got 1 work in elite gallery's and I'm sure this won't make it as well, but I hope one day one of my works will hit it. Thats a great job, your efforts had a great result... I like the sensation of the sky. The lightning seems a bit funky, but the blending of the background is really cool. Keep up the good work! 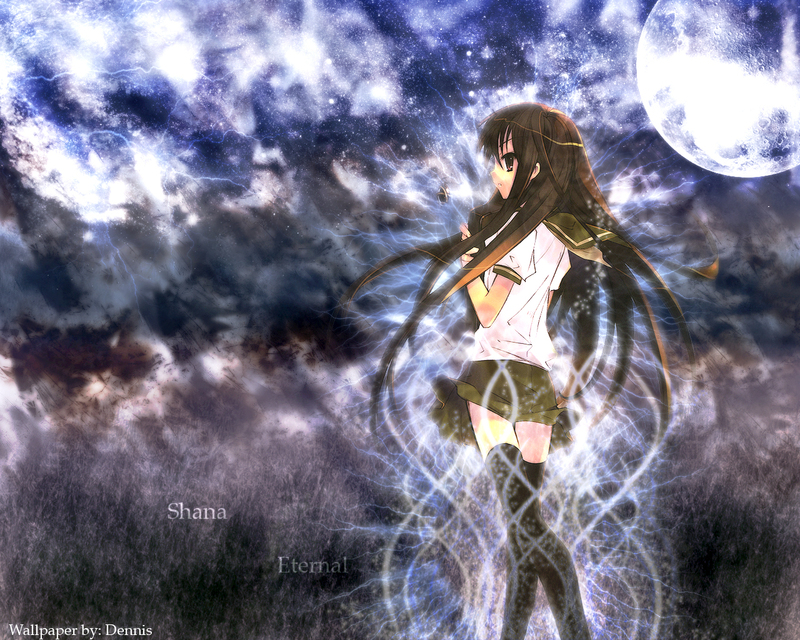 wa,another nice shana's wall,gotta add to fav.I love the background that you put.It looks fit with the character. Beautiful Pic, good job! I Love it!